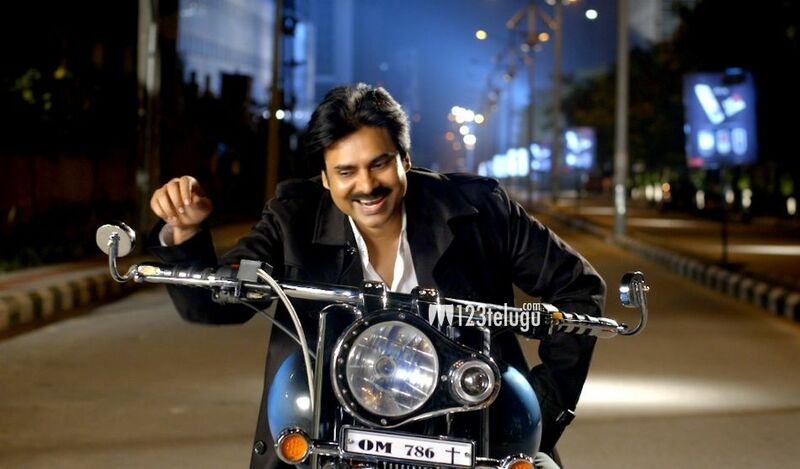 Gopala Gopala, so good I watched it twice! Well, actually I would do that more often for more films if Melbourne had an extra show, which is what happened this week with Gopala Gopala. 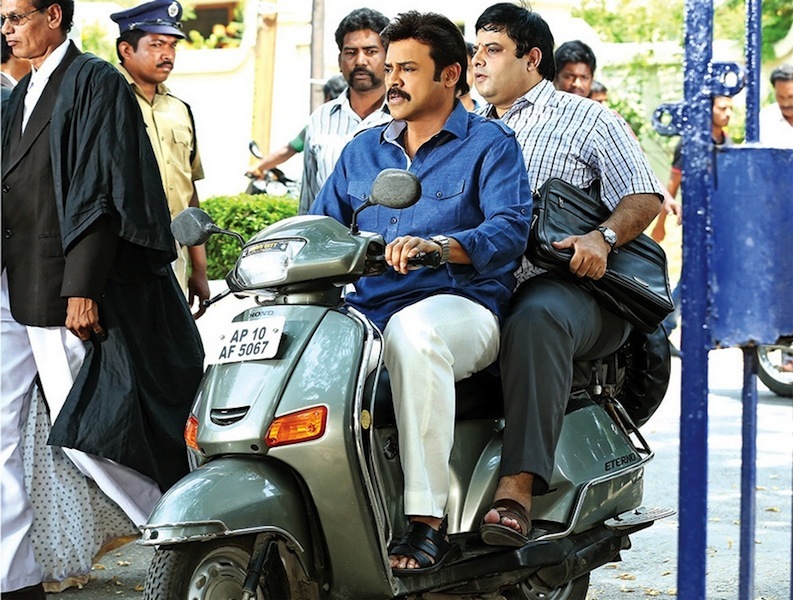 But it is a fun film and I enjoyed watching Venkatesh and Pawan Kaylan in their first movie together. I haven’t seen either the Hindi version of this movie, or the original Australian film that inspired both and that could be one of the reasons why I enjoyed Gopala Gopala as much as I did. I’ve read that this Telugu remake follows the original faithfully and as a result it may only be worth a watch if you haven’t seen OMG, or like me feel that Pawan Kalyan as God seems a more plausible choice than Akshay Kumar. The Gopala of the title is a shopkeeper who decides to sue God when his insurance claim is rejected following an earthquake that has destroyed his livelihood. The insurance company representative points out that Gopala has signed the contract that lists (in small print) the exclusions for his insurance, including an ‘Act of God’ and since no-one else but God could have caused the earthquake, Gopala is out of luck and out of compensation. It’s a nice idea, even if the term act of god is a legal construct rather than anything remotely religious, but the film works on the premise that either God does not exist and therefore the insurance company has to pay, or God was responsible and the onus of care rests with his agents on Earth. Along the way the film questions the morality of the various religious orders and their representatives, but is clear throughout that despite Gopala’s own personal disbelief there is actually no question about the validity of God in any of his incarnations. It’s the charlatans and irrational customs that come up for criticism and the writers throw in some good questions about morality in general for later contemplation. 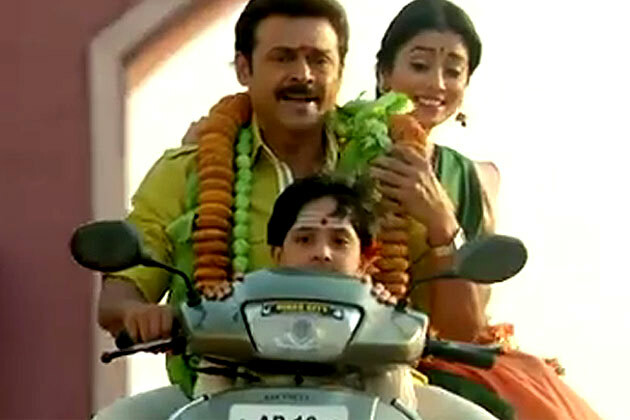 Venkatesh pitches his character perfectly as a non-believer who makes his living selling Hindu statues and religious artifacts even though he finds the rituals and superstitious involved in worship ridiculous. Just as much of a con in fact as his ordinary tap water masquerading as authentic water from the Ganges. His shady dealings aside, at heart Gopala is a compassionate man who is shown to indulge in random acts of kindness and generally feels some compassion for people less fortunate than himself. The problem here though is that his good deeds come across as rather contrived given the way they are somewhat haphazardly inserted into the narrative. 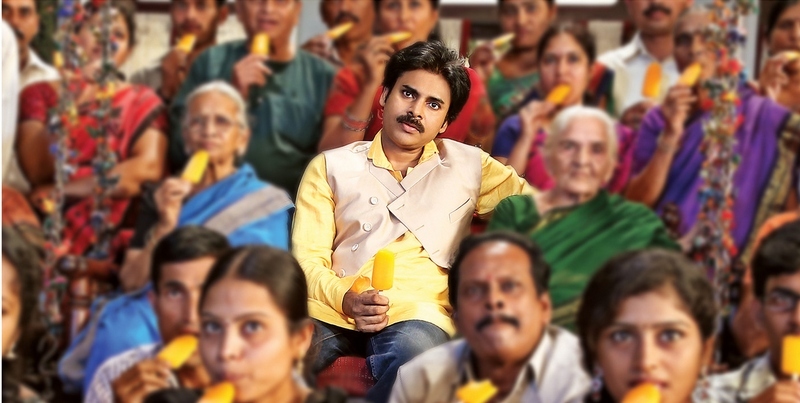 However Venkatesh mixes his skepticism with obvious tolerance for his wife’s idiosyncrasies and his salesman has plenty of charm mixed in with his complaints, making Gopala a generally likeable character. His wife however is Gopala’s polar opposite in all things religious. Meenakshi (Shriya Saran) prays to any and every possible God and shrine while falling for every piece of chicanery she sees during her devotions. I’ve mentioned before that Shriya seems to be better in roles that require her to have long hair, and she stays true to that judgement here, giving a good performance as a devoted wife and mother in every sense of the word. Although Shriya doesn’t have a lot of scope in her role, her presence does add grace and a human face to the otherwise random devotees who face Gopala’s scorn. Somewhere in the middle is Otthu (Krishnudu), Gopala’s assistant in his shop who prays to the gods and follows the rituals but is the one who suggests a religious trip to Varanasi will be the perfect time to stock up on cheap artifacts to sell at inflated prices back in Hyderabad. Krishnudu has good comedy timing but apart from funny early scenes he is also relegated to the sidelines once God appears to help Gopala in his quest for justice. Pawan Kalyan makes his grand entrance as Krishna just before the interval, and his presence immediately enriches the story and lifts the energy of the film. The reaction in Melbourne was loud and enthusiastic both times I saw Gopala Gopala, which somehow seems rather appropriate for the appearance of a deity, even if he doesn’t arrive with the classic blue skin and associated regalia I expected. The role suits Pawan Kalyan’s restrained delivery style when not in full action mode, and his Krishna is a little distant but very charismatic. As may be expected from a divine being he offers guidance rather than direct intervention and is often cryptic in his dialogue, although his explanation of why bad things happen to good people sounds like classical political spin. Gopala never asks any of the big questions (such as why just his shop was destroyed – would have been my first question. That and where do all the lost socks go?) but that makes the relationship between the two feel more genuine and does stay true to Gopala’s persistent disbelief in an all-powerful deity. 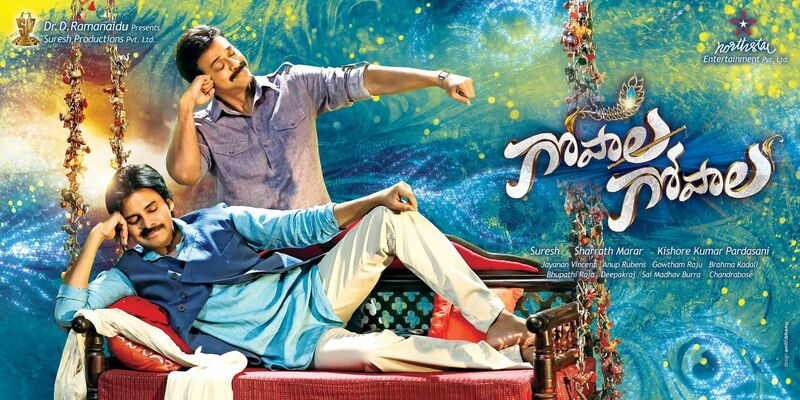 The film does slow down a little in the second half when Gopala takes the assorted bunch of priests and swami’s to court but Mithun Chakraborthy, Posani Krishna Murali and Diksha Panth are all good in their respective roles as unethical leaders of their temples and organisations and the comedy helps to keep things moving along. 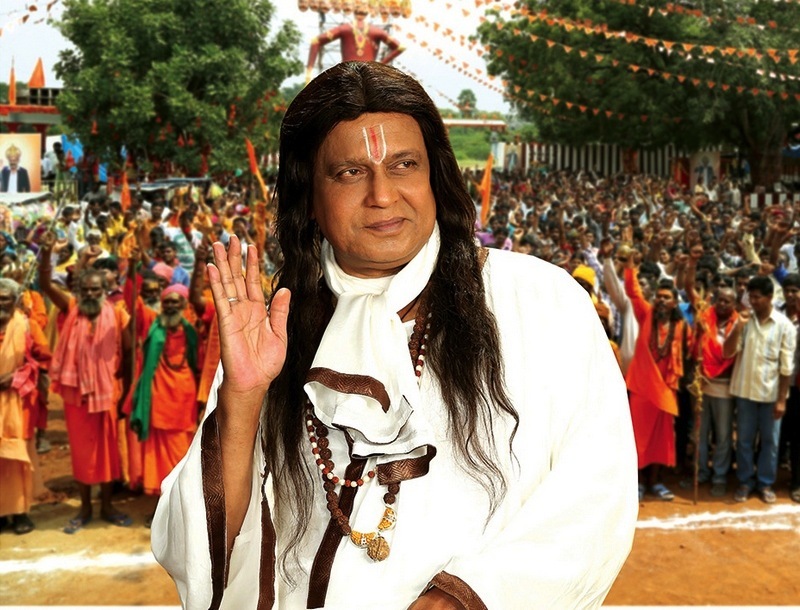 Mithun as Leeladhara Swamy in particular has an impressive collection of idiosyncrasies although all three are so obviously corrupt and self-aggrandising that it seems hard to believe they would lower themselves to appear in court. Gopala is an equal opportunity plaintive and also summons representatives from the Muslim and Christian churches, while receiving help from lawyer Akbar Bhai (Murali Sharma) and determined opposition from Shankar Narayana (Ashish Vidyarthi) who has the unenviable task of representing the religious leaders. Interspersed with all the courtroom drama there are a number of songs by Anoop Rubens which are mainly fairly upbeat and fit into the narrative well. My favourite is a beautiful flute piece, but this runs a close second, particularly since it includes both Venkatesh and Pawan Kalyan dancing. While Gopala Gopala is often rather simplistic with characters painted a little too black or white, Kishore Kumar Pardasany has made an entertaining movie that includes a discussion of superstition in religion without getting bogged down in dogma and matters of faith. 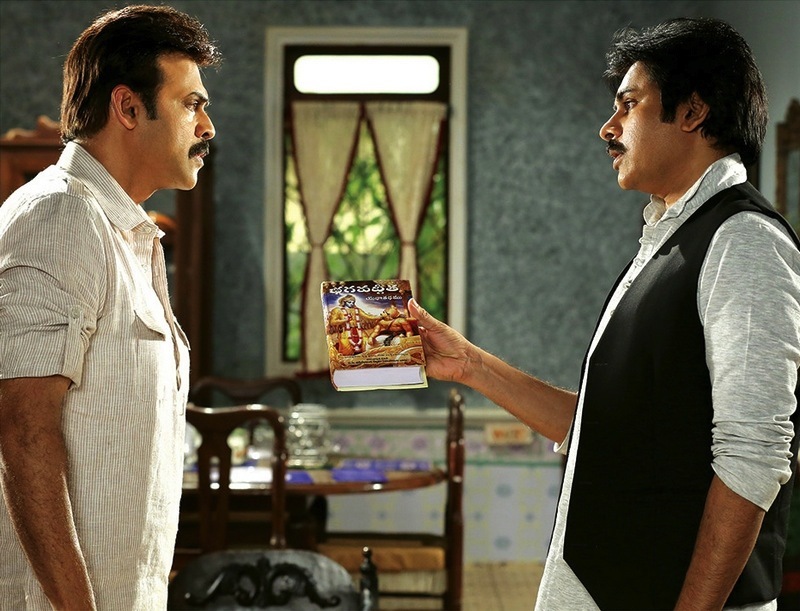 Pawan Kalyan and Venkatesh Daggubati have great chemistry and work well together while the rest of the cast provide excellent support and good comedy. This really was much better than I expected and is definitely well worth a watch – or two! This entry was posted in Tollywood and tagged Anoop Rubens, Ashish Vidyarthi, Diksha Panth, Gopala Gopala, Kishore Kumar Pardasany, Krishnudu, Mithun Chakraborty, Murali Sharma, Pawan Kalyan, Posani Krishna Murali, Shriya, Shriya Saran, Telugu, Venkatesh. Bookmark the permalink.